These courses are designed to meet the sector’s needs. Companies face a constant challenge to adapt to a changing market with innovative, technological advances. Screen printing is a technique that has great potential to provide a competitive edge. These courses are aimed to provide business enterprises with tools to adapt to change, develop their potential and make the most of their resources. Each company has its own goals and budget. These customized programs are tailored to each one of them. There are no two identical companies; neither is there just one way of doing things. Working together with the company we analyse its capacity and equipment and set new goals. To make things easier for you, the course is given on the company’s premises. We can also help you to obtain a subsidy for your training course, if certain requirements are met, all in cooperation with Indespre (Madrid), who will assist you with your application. Maximize the potential of screen printing by using special effects inks. Screen printing can improve and differentiate an industrial or graphic product from the competition. This course will help you do just that. You will learn the use, techniques and applications of special effects inks in screen printing. You will also get useful advice for handling Iriodin varnishes, ultra violet light sensitive inks and photo luminescent inks, etc. In this course we study and solve problems arising from the use of special effects inks. Discover different and high quality finishes in screen printing and explore their potential in the graphic, design and industrial markets. Explore the advantages of using screen printing rather than other techniques for producing creative and special effects. Discover the potential of screen printing to improve your sales. In the current economic situation of the graphic sector screen printing offers alternative applications and finishes. Discover all that screen printing is capable of. 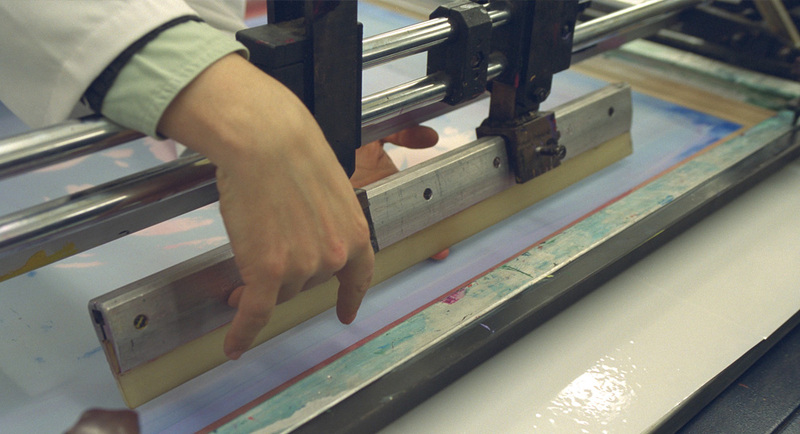 Improve your sales through a good knowledge of the screen printing process. Avoid the risk of failures and poorly calculated estimates or orders. Discover different and high quality finishes in screen printing and their potential in the graphic, design and industrial markets. Learn the essentials about the screen printing techniques and avoid mistakes that can severely affect the Company’s business. Discover how screen printing can be used to expand your business. Set the basis to improve production. Expand your business opportunities by using new finishes.